Individuals who are a fan of Kia Milwaukee vehicles and are looking to purchase their next new or used Kia SUV, car, or more, should head over to Ewald's Kia dealers in Milwaukee and check out their lineup of new and used Kia Milwaukee cars, SUVs, and more. Ewald's Kia dealers in Milwaukee have plenty to offer, with many Kia Milwaukee vehicles to choose from, new and used, for nearly any kind of lifestyle, whether you need a sleek, sporty car for everyday use, or a minivan to meet your whole families needs, Ewald's Kia dealers in Milwaukee are sure to have a Kia Milwaukee vehicle for sale that is right for you, and for an affordable price that you and your budget will find pleasing, so come on in to Ewald Kia of Oconomowoc Wisconsin and check out our new and used Kia Milwaukee vehicles for sale, such as this used Kia Sorento for sale, the 2016 Kia Sorento LX. 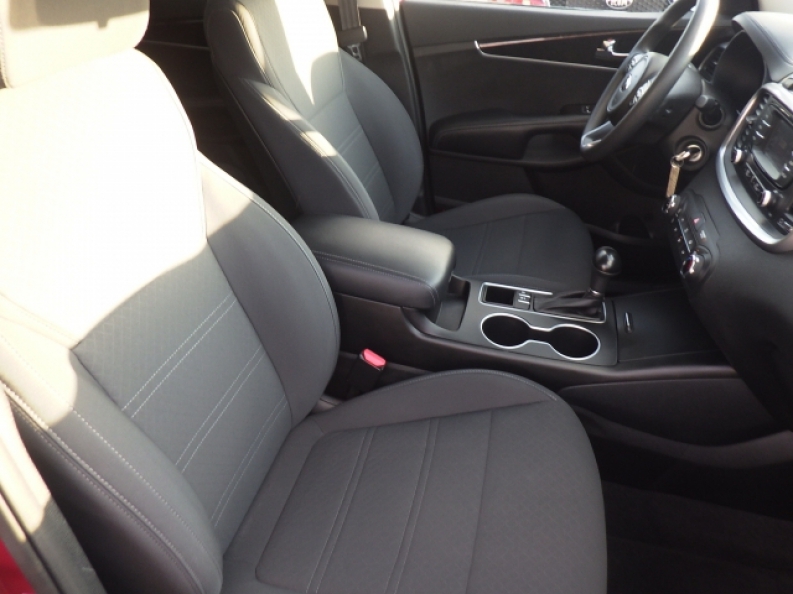 This used Kia SUV for sale is an excellent choice for someone who wants to get a vehicle that is practically new, with the low price tag of a used Kia for sale. 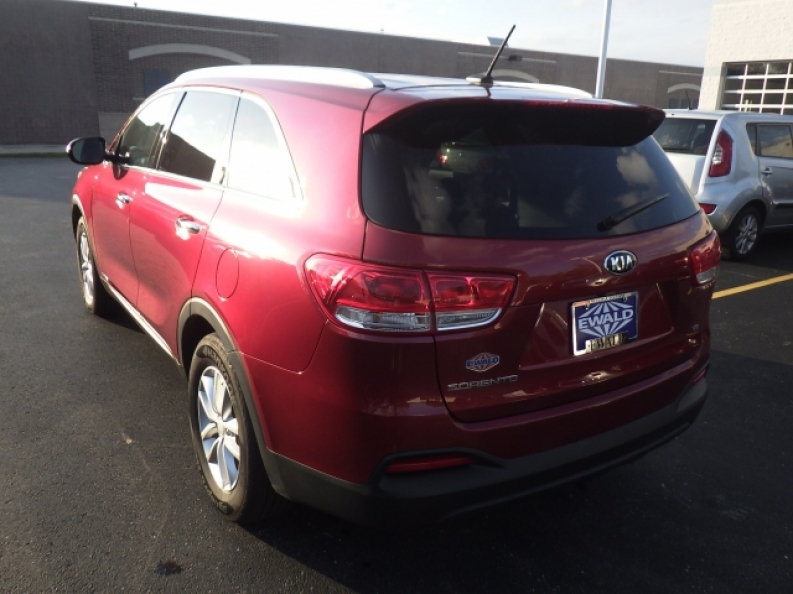 This used Kia Sorento for sale has a very low 13,623 miles on it, and has many more years of use and enjoyment left in it, and with its man fantastic features, available options, and eye catching Remington Red color, this used Kia SUV for sale is sure to impress. The 3.3L DOHC GDI V6 Engine in this used Kia SUV for sale is capable of reaching up to 290 horse power, and generates a high towing capacity of around 5000 pounds, while offering you a respectably efficient gas mileage of 18 City mpg and 26 Highway mpg. 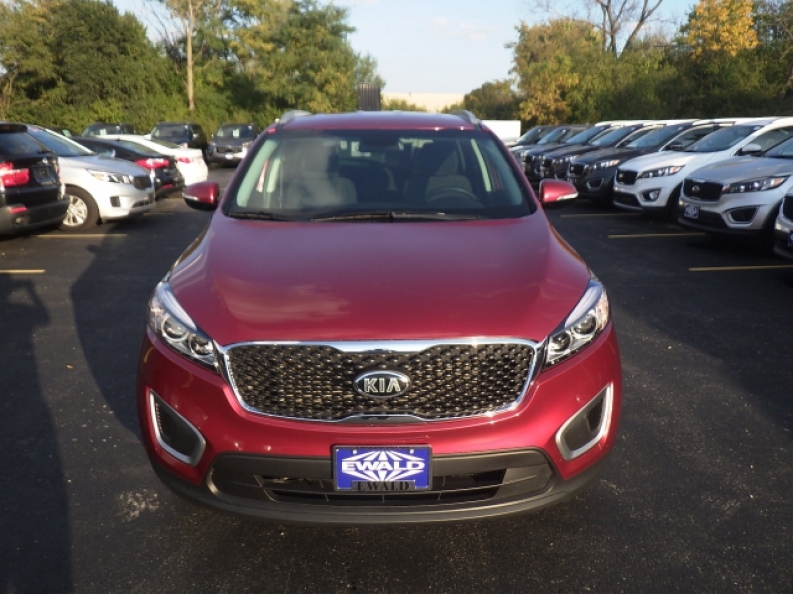 If you want to check out everything that this used Kia Sorento for sale has to offer you, then stop on in to Ewald's Kia dealers in Milwaukee today, located at 36883 E Wisconsin Ave Oconomowoc, WI 53066.